379 passers of the 812 examinees of the Librarians Licensure Examination November 2012 is now available to viewed below. Given by the Board of Librarians in the following cities such as Manila, Baguio, Cebu, Davao and Legazpi, the exam is also known as November 2012 Librarians Board Exam Results released this November 8, 2012. The results of Librarians Licensure Examination (LLE) board exam are usually released together with the lists of top 10 passers (topnotchers), top performing schools and performance of schools. 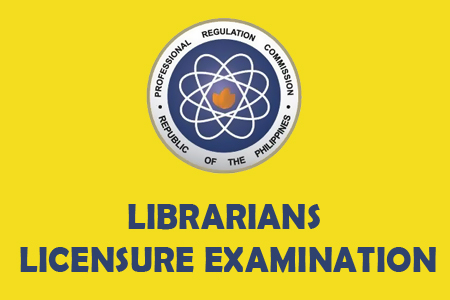 PRC conducts this Librarians board exam through its Board of Librarians once a year every month of November. It was exactly three (3) days after the examination result was released by the Professional Regulation Commission (PRC) in their official website. You may view here also the Top 10 Librarians Board Exam passers upon availability. For the meantime, please share this page to your friends on Facebook, Twitter and Google+, so they can also be updated about the Librarians Board Exam Results November 2012. Comments or suggestions about "November 2012 Librarians Board Exam Results" is important to us, you may share it by using the comment box below.